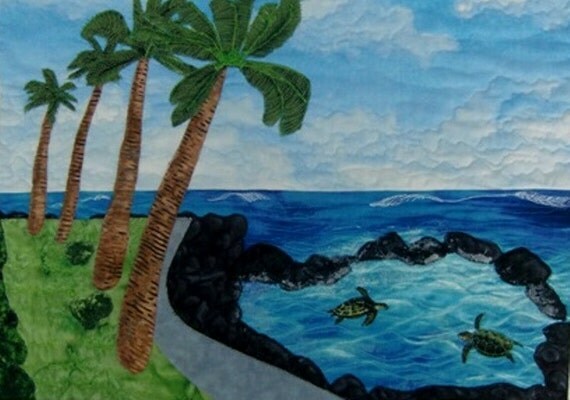 Karen over at Koloa Quilts on Etsy makes these beautiful tropical quilts that makes me want to be on the beach and not buried in the snow. 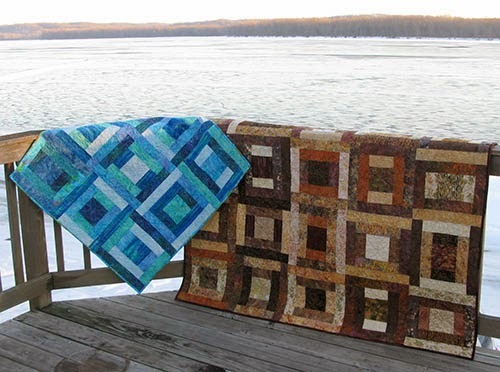 I follow the wonderful blog Freemotion By River and Connie makes some of the most beautiful quilts I have ever seen. She just has such a good eye for colors and designs. 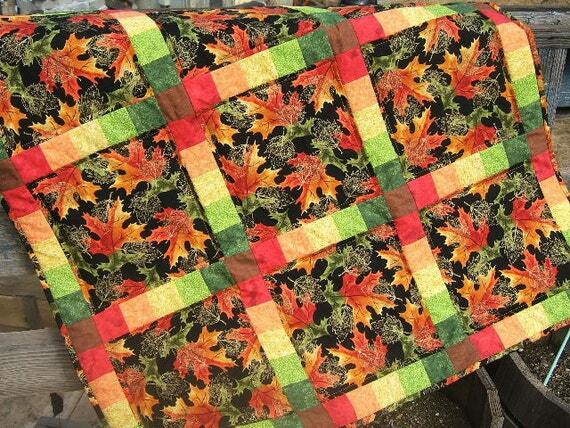 Quilts also can have such beautiful colors and can show the colors of certain seasons. 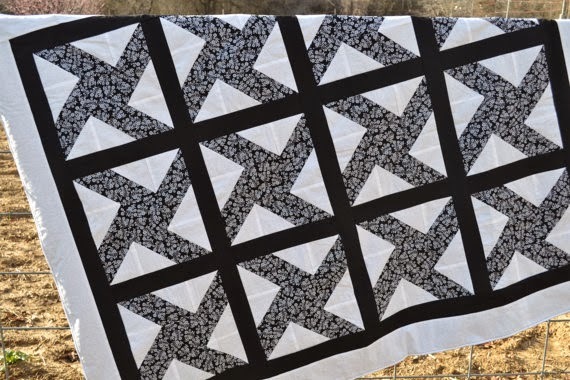 Like this one from Quilted Pleasures on Etsy. Lorri is member of the QuiltsQuiltsQuilts team with me and I just love all the colors of this quilt. 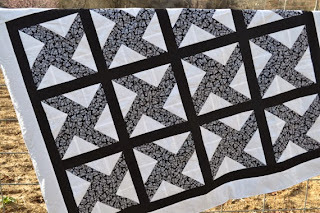 Then there are quilts that are just beautiful with two simple colors like this black and white quilt by Shirley Gale. My goal this year is to at least get a few quilts made.....time to make some quilts for the Grandkids. :) Thanks for joining me in looking at all these beautiful quilts.